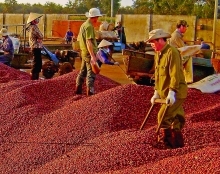 Despite being a purely agricultural province, Dong Thap has seen its mechanical industry, especially the agriculture and food processing serving mechanical sector, making certain progress. In an attempt to develop its mechanical industry, Dong Thap has worked to facilitate manufacturing technology renovation in order to create new products and add value to provincial products. Over 90 mechanical enterprises operate in Dong Thap, mainly mechanical fabrication and agricultural machinery manufacturing and repair facilities. In the first five months of 2018, provincial mechanical enterprises churned out 170 products, including excavators, seeding machines, pesticide sprayers, rice and corn harvesters, self-propelled straw winding machines, bean and sesame peeling machines, among others, which have attracted buyers. That achievement is partly attributed to industry promotion programs. 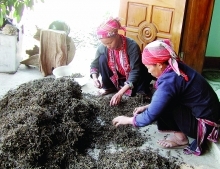 In the first half of 2018, the Dong Thap Province People’s Committee approved nine industry promotion projects totaling more than VND1.5 billion to assist provincial producers in building and applying advanced technology demonstration models. The provincial industry and trade sector held industry promotion conferences, trade fairs and exhibitions, and events honoring outstanding rural industrial products. 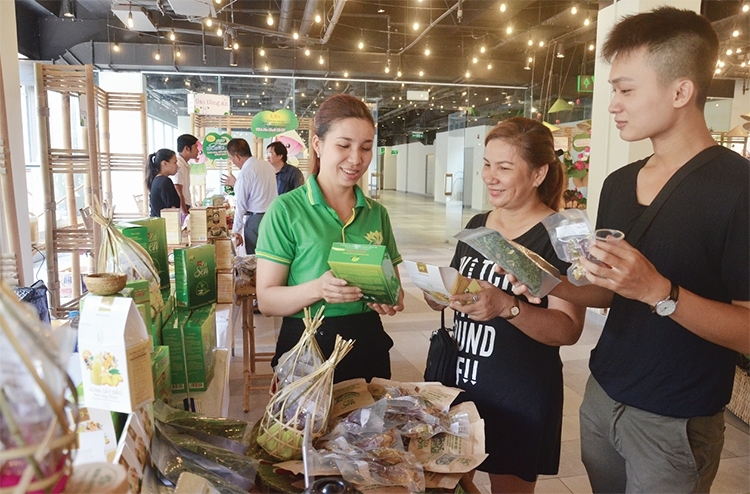 Mai Van Doi, Director of the Industry Promotion Center of Dong Thap Province, said the center is implementing programs to assist advanced technology transfer in many farm produce, forest product and seafood processing enterprises that use local raw materials. Provincial mechanical manufacturers have created many products, contributing to improving productivity of agricultural, fine art and handicraft and food processing industries, cleaner production and product branding, Doi said. Dang Quy Ngoc, Director of the Thuan Thien Thanh Food Investment and Development Joint Stock Company based in the province’s Lai Vung District, said that with industry promotion program assistance, his company procured advanced equipment and improved the value, quality and price of its products - dried custard apple, nutritional drinks, and custard apple tea - for export to Malaysia, the Republic of Korea and Singapore. Company products have recently been certified as outstanding rural industrial products of Dong Thap Province in 2018, Ngoc said. Pham Cong Ly, owner of the Tai Duong finest flour production facility, said his establishment has increased product quality and sales since it replaced outdated machines with advanced powder vacuum feeders. productivity and product value improvement and branding.